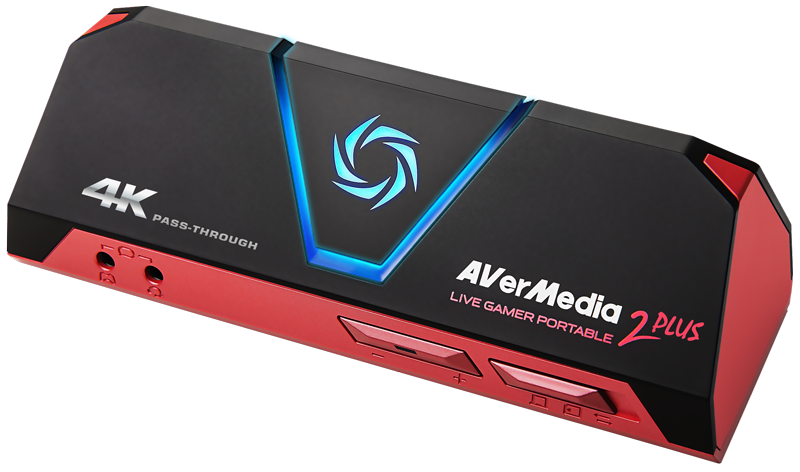 AVerMedia Technologies, Inc., the preeminent name in digital multimedia technology, today announces it will exclusively sell the Live Gamer Portable 2 Plus (LGP2 Plus) throughout Best Buy retail stores. This LGP2 Plus is a great addition to AVerMedia’s robust and diverse family of products, is the ultimate tool for content creators, allowing them to enjoy their UHD 4Kp60 gameplay while recording and streaming at 1080p60fps. The LGP2 Plus will be available in over 600 Best Buy retail stores across the USA. "We appreciate the relentless passion of the streaming and gaming community. They've been instrumental in pushing us to design the Live Gamer Portable 2 Plus for them," said David Kao, Marketing Manager of AVerMedia Technologies, Inc. "We are excited to be able bring its 4K pass-through and high-quality streaming capabilities, to a store near them." Featuring wide connectivity, hardware compression capability, and a revamped RECentral intuitive user interface (v4.0), the LGP2 Plus is the first capture card to offer 4Kp60 gameplay while recording at 1080p60 footage without a high-spec PC. Thanks to the portable nature of the device and it's PC-Free mode, it can even record gameplay, commentary audio, and party chats directly to a MicroSD card, making it an essential tool for streamers and gamers to capture and share epic moments no matter where they are. UVC Plug and Play also means the LGP2 Plus is compatible with any platform, making it an accessible card by removing the need to install any drivers. AVerMedia is the leader in Digital Video and Audio Convergence Technology. From audio and video peripherals for consumers, to professional capturing and streaming solutions for corporate markets. AVerMedia Technologies, Inc. commits itself to enrich experiences in entertainment and communications. As a leader in innovative manufacturing and environmentally friendly products, AVerMedia is also highly involved in community and social responsibilities. AVerMedia also partners with ODMs for the development of AVerMedia’s technologies for integrated applications.